You may be trying to ignore the forthcoming event, but doing so won’t change the fact that Christmas is now just two months away. 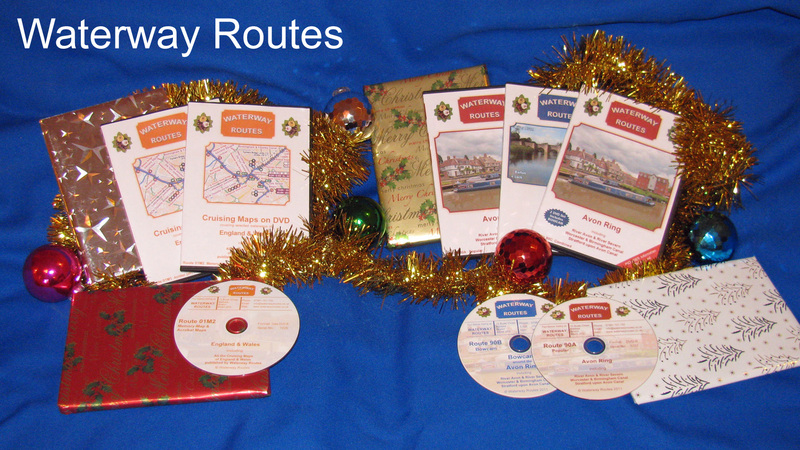 Maps (on disc in the orange boxes) and DVDs (in the red and blue boxes) are easy to wrap – then post or hand over to happy recipients. If family or friends ask what you would like for Christmas then just email them a link to the appropriate page on my website – unless you really want another pair of socks. The England & Wales Cruising Maps are very popular and, as they cover all the connected waterways, they avoid having to decide in advance where you are going to cruise next year. The DVDs are great for armchair boating when the weather is bad, for showing family and friends where you have been, or checking out the routes for next year’s holiday. Whatever you choose, please don’t forget the latest ordering dates for Christmas to ensure the gifts arrive in time.